Whether it’s an intense Ashes Test, the colour and drama of the IPL or the boom crash opera that is the Big Bash League - don’t just follow your favourite cricket team, join them! Access live coverage of every International Test Match, ODI, and the world’s best T20 leagues (IPL, BBL, WBBL, BPL and CPL) plus selected domestic Australian competitions including the Sheffield Shield and Women’s National Cricket League. Follow the progress of your team throughout each Test and ODI series, T20 League or Domestic Competition. Been thrown a curly cricket question? Need the perfect cricket trivia answer? Don’t worry we have you covered here too with a detailed database of team and individual player stats. 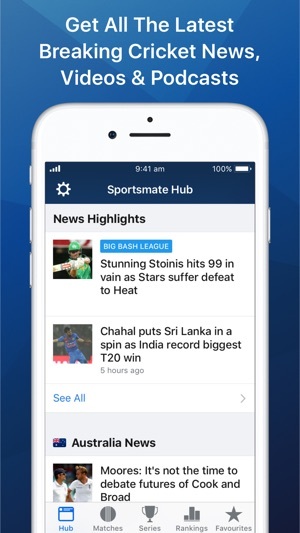 Cricket Live by Sportsmate also brings you the breaking cricket news, along with exclusive match previews and analysis from Sportsmate’s team of commentators from around the globe. 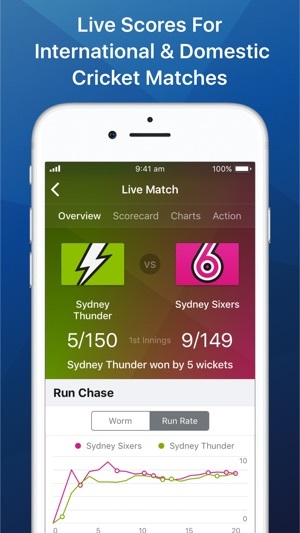 Cricket Live by Sportsmate is available FREE for all cricket enthusiasts in Australia and around the world. 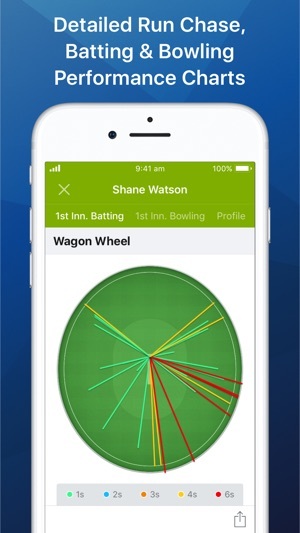 Don’t miss a minute, download now and start tracking live cricket scores today! 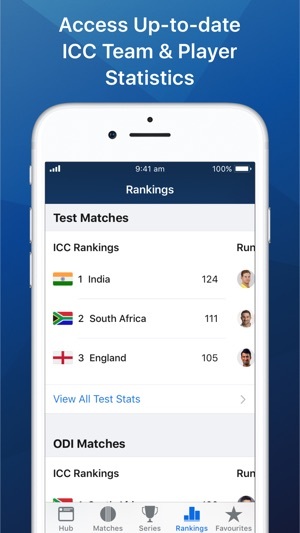 With some exciting updates coming in 2018, we’d love to hear from you how we could make the Cricket Live app even better. Please send all feedback to support@sportsmatemobile.com, tweet us at @Sportsmate or use the feedback form inside your app’s Settings. I enjoy the service provided, as it is up to date, and factually precise, however the “ball by ball” commentary is basic and very bland, and doesn’t give the reader the opportunity to “feel” for the shot played, the dismissal, or the runs made. I’m sure with a little more passion added, this could be achieved, which other internet services provide. Thanks for your review and feedback about our live match commentary. We are provided all of this by a third party provider so unfortunately have no control over the actual commentary, however we will pass this on to them so that they get this feedback as well to look to improve further. Hope you enjoy using it for the rest of the summer! Only thing I would suggest is to make it a bit easier to start using. Some features are a little difficult to figure out but once you do, the app is great. This has the info you want although it lacks a decent filter system which for me makes it hard to use. All I really wanted was the BBL but they throw in the WBBL in the same list which I have zero interest in. As a consequence you have to carefully work through everything to find the fixtures you want. 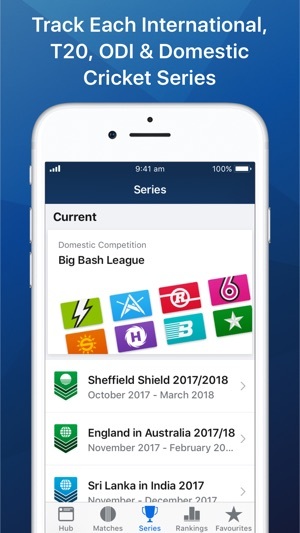 Thanks for your feedback here - if you want to specifically view the BBL matches the easiest way to do this is to tap into the 'Series' section down the bottom of the phone, and then find the Big Bash League in that list - this has the current table and you can also find the full fixture just for the BBL. Hope that helps, if you have any other feedback don't hesitate to email through to support@sportsmatemobile.com and our team will take all ideas into consideration.